In the beginning of 2014, the big question on my mind was: "What am I doing"? The streak, which I had been on at the end of 2013, had taken aside to training a new puppy. Wanting to be back on that streak, I tried to upload videos as much as I could. I uploaded a video, featuring a character named, Professor Glenn Robbins, whom I felt was inspired by Carrie Brownstein of "Portlandia", which I had been watching on Netflix at the time. But, after that, things were a bit downhill. I just didn't know what to do. I wanted to go full time with J-Dubb's Theatre. I wanted to eventually create an enterprise of some sort, like Phillip DeFranco had done. But I didn't know how to market J-Dubb's Theatre. I was getting next to no new subscribers, my audience wasn't growing at all, and it was very frustrating. I still had fewer subscribers than I had before the subscriber purge of 2012. 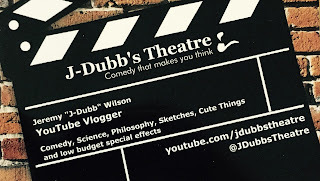 I knew how to market things, and I was pretty good at coming up with marketing ideas for other people's product, but I just couldn't figure out how to market J-Dubb's Theatre. I thought about different niches that I could try. I wondered if I should do something other than comedy or if I should start a new channel and retire J-Dubb's Theatre. I wondered if I should continue YouTube at all, or focus on something else. I wanted to progress somehow at something. Meanwhile, there was just so much I wanted to do. I had all this passion bottled up and about to explode. I wanted to do... EVERYTHING!! I wanted to try every restaurant, travel everywhere, visit every house I drove by, meet the people who lived there and see what it was like inside, I wanted to landscape, I wanted to study everything and learn everything, and the list goes on. In the Summer, I made a video in which I requested help for growing my audience, and voicied my frustration. It was the first time I had ever done such a thing, but I decided it was time to put it out there. Many people were surprised to learn that my audience wasn't growing. I decided to really have fun with this video, and I did. It was the first time, since the beginning of the year, that I really felt like I had put out a fun video. At the end, I stated a specific subscriber goal that I wanted to meet. Later, as I was editing this video, I noticed Spenser chewing on something. He had been chewing for a while, and I hadn't really thought about it. But, at that moment, I looked over, and realized that he had gotten a hold of the J-Dubb's Theatre pipe. The iconic pipe, which had represented J-Dubb's Theatre for so many years, was now ragged with unfinished wood showing through the chew marks. I wasn't sure what to do: just leave it as is, go to a pipe-shop and look for a similar one, or maybe discontinue using it, as J-Dubb's Theatre was a changing thing, anyway. In the end, I decided to make a video about repairing it, in which I travel to Japan to recover the necessary items, and then sand and stain it. Now, the pipe is a little shinier, and the patterns on it are a little different. Some of the chew marks were worked into the preexisting pattern. VidCon was coming up. I had decided on two things. Number one: the previous year, I had regretted not being social enough, and felt I had missed out on some things, such as meals with other YouTubers. Number two: I was gonna promote the hell out of J-Dubb's Theatre. I filmed a video about how to bring back the dinosaurs. Much like "The Network Series", years previously, this was another failed promotional attempt. I had planned to set this as the featured video on my channel, and then print up fliers about, "how you may see dinosaurs in your lifetime" which I would leave around VidCon, directing people to my channel. I didn't get any of these fliers printed out on time. Goal number two was a bust, but number one was not. As soon as I got there, I ran into LaneVids, and met some new people including BusVlogger and TheWackyChels. We met up with a group of people, and had lunch together. I had barely gotten there, hadn't even checked into my hotel yet, and I was already having the social experience that I wanted. I then proceeded to make the best VidCon video ever made, in which I am on a wildlife safari, documenting YouTubers. I also spent time exploring Annaheim and the Downtown Disney area, and taking Instagram pics. Towards the end of the year, something began to... click. It began when I posted a video lamenting about the end of Summer, in which I declare war on the Fall. I had done a similar video the previous year, while I was on my streak. Revisiting this seemed to put me back into that same mindset. I was back on that streak, cranking out videos, and having a lot of fun with it. I was once again making videos that I felt good about. I began to hone in on a sort of formula, which allowed me to make simple videos, but still put in the effort and creativity which I enjoyed. This streak continued into the next year, and that's when things started to come together. One thing I considered was: did it really matter if I did J-Dubb's Theatre full time? I wanted to continue making videos for the same reason in which I had began in the first place. I enjoyed being a part of the YouTube community. I didn't have to be a full time vlogger to do this. I already was this, and had been for quite some time. It would still be nice, but it doesn't have to be my only option. At that time, I began to find my niche. One thing I've often seen in the comments of my videos, is: "that made me think." I'm in my head a lot. Sometime's in the past, I had found it difficult to concentrate on a comedy idea, because I was working something in my mind that I just couldn't veer away from. I didn't have any desire to "be a comedian" or to "do comedy." There were other things I wanted to focus on. I wanted to inspire. I wanted to provoke thought. I liked studying psychology, philosophy, science, and history. I wanted to explore things such as conceptualization, and human consciousness. But I enjoyed using comedy. It's not me, if I don't involve comedy, and a bit of snark. I realized that this is my niche. Almost as soon as I had this realization, I started gaining subscribers again. Finally, after three years, I made my way back up to my subscriber count from the beginning of 2012, and it's continued rising. As I write this, I'm only 15 away from the goal I stated in 2014. Soon, I will need a loftier goal. I finally printed out business cards for VidCon. 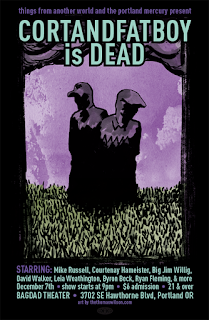 I decided to include the tagline, "comedy that makes you think". As I began to formulate this idea, I began describing J-Dubb's Theatre as "educational", but I decided to veer away from that. There are some channels which focus purely on teaching facts. My videos include educational facts, but they are more about interpretation. My channel is more about exploring ideas. Looking at my videos from the end of 2014, through 2015, there have been times when I've been on a streak, and times when I had to, well... take some time. But, every video I've posted during this time period makes me think , "that was a fun one." I did not jump the shark. I grew to the next level. I just needed to take the time to figure out what that meant. In 2005, I was a student studying Psychology, because I wanted to explore the things which create what we experience. I started a blog. I dropped my psych major. My blog became a YouTube channel. In 2015, I make YouTube videos about exploring the things which create what we experience. See you next time. J-Dubb out. By the beginning of 2010, I was no longer making videos. I also found that all these podcasts were way too time-consuming. It was one thing to listen to a radio show while I worked. I could work while the music played and tune in when the show came back on. But listening to podcasts meant several hours of listening and getting nothing done. I had been out of school for a year, and was trying to make money designing websites, so I had to drop the podcasts. After a few months, one day, I decided to reminisce by watching some old videos that I remembered from the old YouTube days. I also checked out some of the YouTubers from the old days who I was familiar with, but had never gotten around to watching. This brought back the desire to be a part of that old YouTube community. That's when I realized: if I wanted to be a part of it, I could choose to BE it, whether YouTube wanted to promote it or not. I made my comeback by joining in with the Hitler Downfall parodies which were popular at the time; the ones where you add your own subtitles over the bunker scene from the movie, "Downfall". I had always wanted to be more a part of the Vlogging scene, so I began producing more Vlog type videos than I typically had in the past. I refer to this as the beginning of "The Modern Format". This is when I started using my common vlogging location, and began to develop my style of vlogging with jump cuts and overlays. 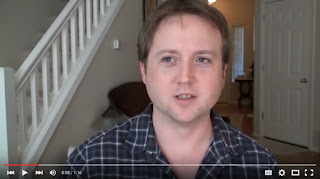 Although the angle has changed over the years, this is the familiar background of my vlogs, which I started using in 2010. 2010 turned out to be the most booming year I'd had on YouTube. I began posting videos once a week, which was considered a lot in those days. This was before the boom of daily Vloggers, or YouTube shows with regular schedules. I became involved and actively participated in the YouTube community like never before, making a lot of new friends and acquaintances, and my subscribers jumped up several hundred, which was the largest amount of growth I had ever had in one year. 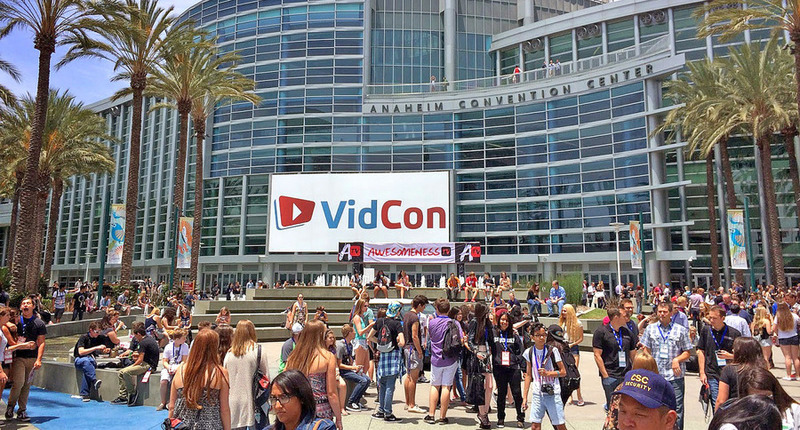 One day that Summer, a bunch of videos began popping up from a YouTube gathering called "VidCon". I had always wanted to go to a YouTube gathering. In the beginning of 2007, I had watched videos from the first YouTube gathering, "As One", put together by Corey "Mr. Safety" Williams in San Fransisco, and after that, there were Summer gatherings once a year. I had thought about collaborating with Nalts on a gathering in Portland. But that year, this "VidCon" event turned out to be the big YouTube gathering, and I wanted to be a part of it. So I made a video about having my own VidCon in Portland. 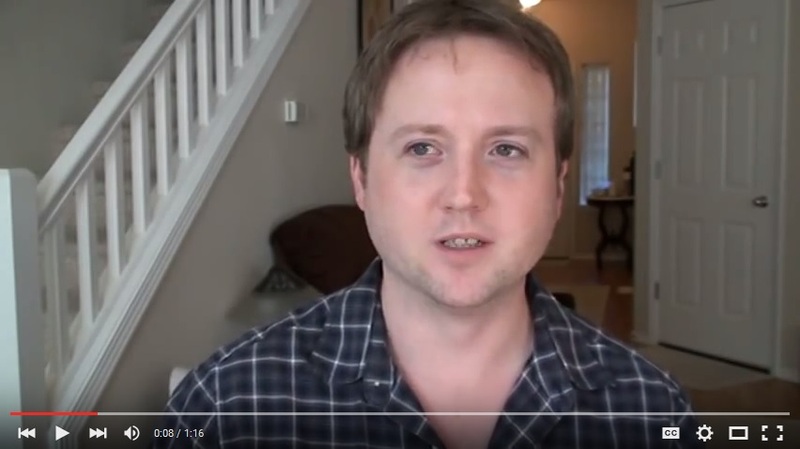 I continued my video routine in 2011, while the blogging dwindled. At this time, I mainly used my blog to post my videos, while only occasionally writing a blog post. One thing I just had to cover, was the final demise of KUFO. It had been a while since I'd paid attention to KUFO, Portland Media, Cort and Fatboy, or anything of that ilk. One day, I turned the channel to 101.1, and heard talk radio. I did some research, and found out that KUFO had been gone for about a month. I remember KUFO from my childhood, however, Alpha Broadcasting's changes had soured its audience, and by March 2011, they had to pull the plug. There was almost no coverage of this event, in contrast to the uproar surrounding the canning of KUFO's personalities. But the YouTubing kept going strong. One of the highlights, was my parody of Rebecca Black's "Friday", which I called Tuesday. I began a new series called the Rich Munnich Awards, in honor of my friend, well, Rich Munnich. I became a YouTube partner, and could now monetize my videos. Then, in the middle of the year, I started to do bi-weekly videos, but soon after, I got a new job, which made this impossible. In fact, it was difficult to concentrate on Youtube as I adjusted. 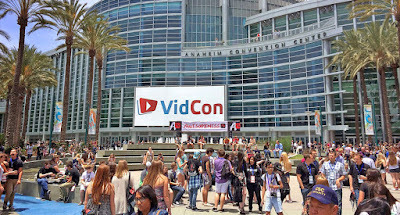 The second VidCon came and went, and I barely noticed. I had to slow down on J-Dubb's Theatre a bit. The last thing I posted to my blog was a video to Greg Benson, where I disguise myself with a paper mustache, and try to sell him a fish tank under the guise of a time-machine. This fish tank has become an inside joke between me and Greg, and one of us brings it up whenever we see each other. I started to write an anniversary post, as I had every previous year on October 11, where I would post the same fireworks images from my first blog post, and summarize the past year. But I never finished it. 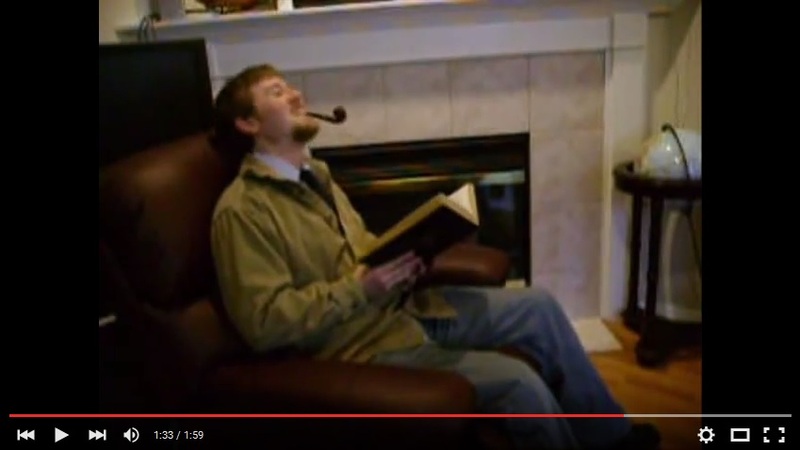 In 2009, I had become a little disenchanted with YouTube. Things were different since Google had taken over. There was a wedge in the Community, between the "big YouTubers" whom YouTube actively promoted, and the average YouTuber, who YouTube had stopped promoting. YouTube had become less about community, and more about trying to "be a star". A lot of people from the old community disappeared around this time. Alongside that, I found out that the music I used in my videos, including the "Network Series" which I had just put a lot of effort into, required an expensive license in order to be broadcast in a YouTube video. When I had first began using it, the TOS for the music site didn't really specify this, because YouTube wasn't really much of a thing yet. It was Royalty Free music, so I figured I could use it. When I started seeing videos and reading blogs which warned about using it, I was afraid that I might lose the majority of my work on Youtube, so, you know, I was a bit discouraged. At one point, while stuck in traffic, I decided to listen to KUFO, just for nostalgia sake. After listening for a while, I realized that I wasn't hearing the Marconi Show, I was hearing the Cort and Fatboy Show. Marconi had been ditched, and Cort and Fatboy had taken over his old slot as the main afternoon show. I found that KUFO had seemingly grown up with me. Cort and Fatboy, despite Fatboy's ridiculous nickname (he's actually a little guy, for one thing) catered less to a collegian frat-boy mentality, and more to a nerd demographic. They were essentially the anti-Marconi, and their listeners were relieved to have Marconi out of there. I became a fan, and listened to Cort and Fatboy on a regular basis. The entire station seemed to be on the same page as me, now. The morning program was hosted by an erudite, yet funny guy, named Rick Emerson, and his crew. It turned out that Cort and Fatboy, teemed up with the Rick Emerson crew, had a lot of involvement in the Portland community. I relinked my blog to KUFO, and began following them on Twitter. I became involved in their whole social media circle, and Bobby "Fatboy" Roberts became a reader of J-Dubb's Theatre. This circle included a podcaster named, Robert Wagner, who ran a whole Portland-based podcasting network. 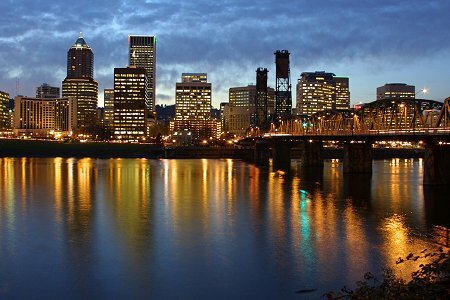 During this time, I became less interested in YouTube, and more interested in the Portland media scene. There was a big collaborative effort at that time to attempt to link the old media with the bloggers and podcasters of new media. 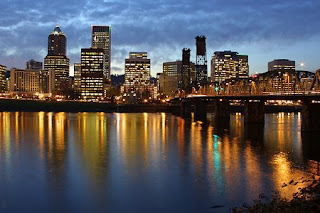 I linked up on social media with some media people of both venues, and began to focus more on Portland related events. My videos dwindled to around one a month, and largely reflected my disenchantment with the new YouTube. At this time, I retired the old banner from 2006, for a new one, which I still use in some form or another to this day, including the end cards at the end of my videos. Then, one day in October, I logged on to Twitter to see talk of Cort and Fatboy having been fired. The next morning, It was confirmed that the Rick Emerson crew had also been let go. I found out that the majority of Portland's radio stations had been purchased by an evil corporation called, Alpha Broadcasting (now part of the merged company, Alpha Media). Apparently, Alpha Broadcasting's technical manual for what a rock station's demographic wants, didn't match up with the current programming on KUFO. So, they replaced the programming director. The new programming director canned the talent and replaced them. To add insult to injury, they were replaced by none other than our old pal, Marconi, who once again took the main slot of the day. But he turned out to be the lesser of the evils. The station also brought on a DJ from Seattle named, Ricker, who made Marconi look like Martha Stewart, and a former Howard Stern intern named, Kidd Chris. At this time, I re-unlinked J-Dubb's Theatre from the KUFO page. These changes would lead to the demise of KUFO. There was a lot of outrage in the Portland community. Bloggers, podcasters, and traditional media journalists expressed their disappointment. I covered this story on J-Dubb's Theatre, as well as invented a couple of Urban Dictionary definitions for KUFO. It was a lot of fun watching these definitions go viral. Both my article and my definitions were linked to in an article by Culture Pulp. This probably doesn't mean anything to you, the reader, but it was a big deal to me at the time. Cort and Fatboy brought back "The Cort and Fatboy Show" as a podcast, and eventually began broadcasting over Robert Wagner's podcasting network. They began hosting their local events again. As well, Greg Nibler and Sarah X. Dylan, formerly of the "Rick Emerson Show", started a podcast called "Funemployment Radio." 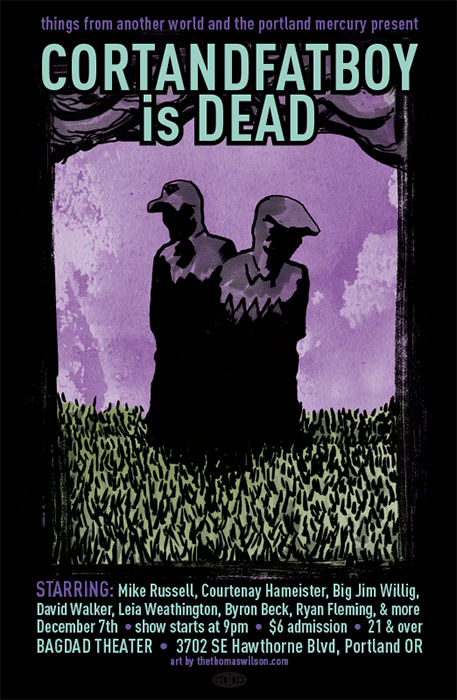 This podcast grew in popularity to an international renowned, won some web awards for top ten comedy podcasts, and is still going strong, six years later.